We build resilient, confident competitors who seek out challenges. Start YOUR journey. ASP coaches have real-world experience in competitive youth sport. Our coaches are on the road throughout the year at events all over the country; as a result, we know what junior players need to be successful. The athlete's world is our world. 100% of our time is spent training athletes, parents and coaches; Many sport psychologists spend only a fraction of their time working with athletes. ASP training positively impacts performance. We develop skills athletes use during competition; our training is entirely performance-focused. Our athletes learn to become more motivated, focused, and confident competitors. We are experts in junior development. 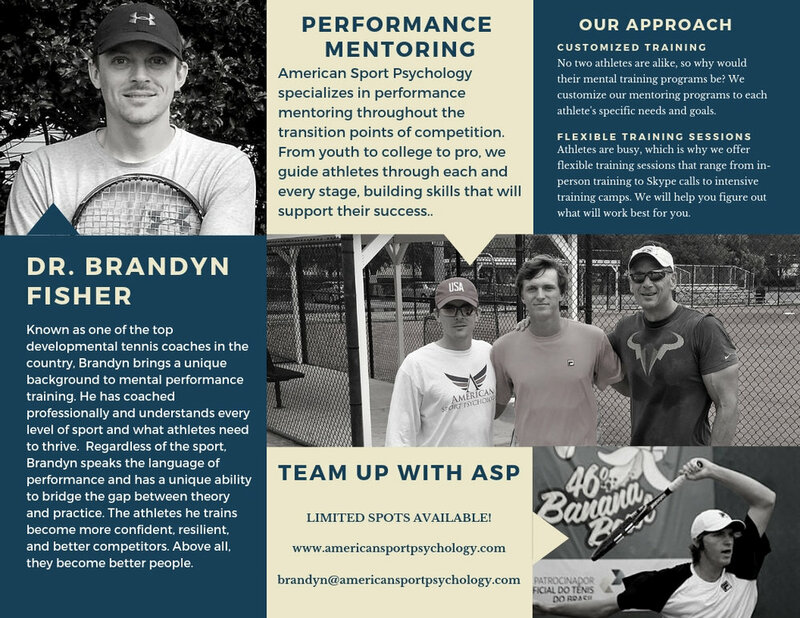 ASP coaches have been successful at developing players at every level, from junior sport to college and beyond. Training is tailored towards the junior athlete’s needs, with a specific interest in developing overall life skills. — John and Lisa S.